We heat our home with propane, but a couple years ago propane prices skyrocketed and there was a shortage for delivery. 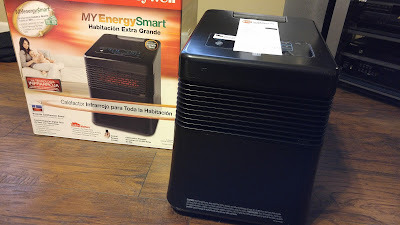 We attempted to use a cruddy cheap store bought space heater to help cut the chill in the house, but we could not find anything that worked well, That’s where the Honeywell Infrared Heater comes it. It was designed for this exact use, it is perfect to take the edge off a cold room without breaking the bank. There are other families that have issues staying warm in the cold temps. Once such family is The Bundles! The Bundles is a family that thought layering clothing was their only option to stay warm in freezing temperatures while simultaneously keeping energy bills down. Now, thanks to Honeywell and the new Infrared Heater, they’ve learned that creating a warm, energy efficient house is not as difficult as they thought. Now they can stow away there winter gear while in the house and put away all those extra layers! It’s your turn to unbundle with the Honeywell MyEnergySmart® Infrared Heater. The heater’s sleek, modern design fits any home décor and revolutionary Infrared Technology provides safe, comforting warmth while providing energy efficient heating. The MYEnergySmart® model includes energy-saving controls that can lower energy bills by up to 35 percent for increased cost-efficiency. The Honeywell MYenergySmart™ Infrared Heater uses six long-lasting quartz elements. Designed for extra large spaces, the EnergySmart® Thermostat uses energy wisely, saving you up to 35% on your energy bill. 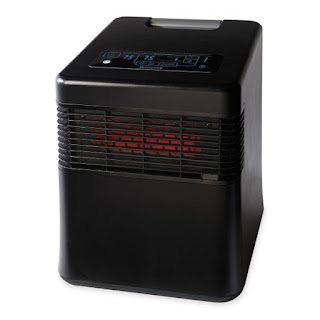 This electric portable heater has a new modern design to fit any home environment and unique top located, Touch Screen controls and a MyTemp feature which lets you pre-set preferred temperature settings. I am in love with this heater, it totally takes the chill off in the house and is perfect for use in our basement as well. We don't normally open the ceiling heat vents down there, so now we don't have to crank up the heat to heat it up down there if we have company. 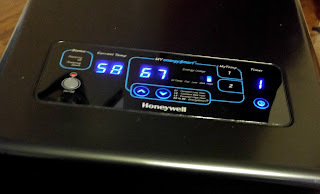 We just plug in the Honeywell MyEnergySmart® Infrared Heater and let it do its thing! This is a great option for families because it has so many safety features! 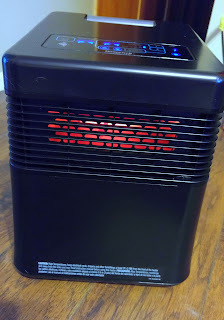 It has tip over protection, automatic shut off, cool housing so little legs will not get burned on it, etc. It is portable, easy to use and is energy efficient! So if you are wanting to unbundle, check out this great heater and see the difference it can make in your home!